I understand very little of the world today. I was so much smarter when I was a baby-boomed tyke, and there was a whole lot less to know. The world was simpler, clearer, black and white. Well, mostly white, at least at Lowell Elementary School in Lima, Ohio (I jest not). There were two black kids (Joey Rowe and Charley Thomas—jeez, the things you remember; where are my car keys, now? 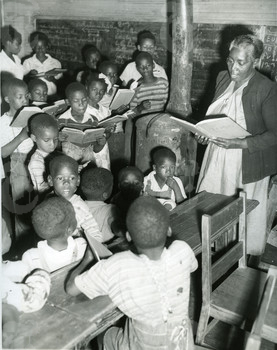 ), and a (very pretty) black teacher in the fourth grade, which shocked my Kentuckian wife, whose elementary school was just being integrated around that time. But other than those two black kids and the one Hebrew, it was a good, pure, Christian American class. No immigrants. No Commies. No sexual deviants. And do you know why? Because we sang together. Now we got rainbows and diversity. Playlists and sampling and hip-hop and Heavens to Murgatroyd who knows what else. Today if you go into an American classroom and ask them to sing the same song, they’ll look at you like you’re crazy. If they speak English at all. 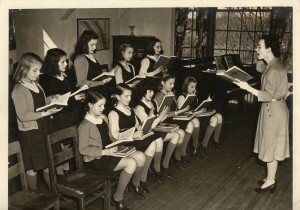 Every week Mrs. Weadock or Mrs. McGillicutty (okay, I’m making those names up) would hand out 30 copies of the same songbook, and we would sit upright in our 30 desks, warped and woofed, open to the same page and sing the same song. Without any of that newfangled harmony, just the melody line, all 30 of us. A good old Amircan song! Like the great cowboy love song ‘Red River Valley’. There was a prolifery such songbooks. I remember oh-so-well ‘The Fireside Book of Folksongs’ (Simon and Schuster, 1948), more or less my first exposure to singing. For some reason, I have on my shelf ‘The Golden Book of Favorite Songs’ (Hall & McCreary, 1915). 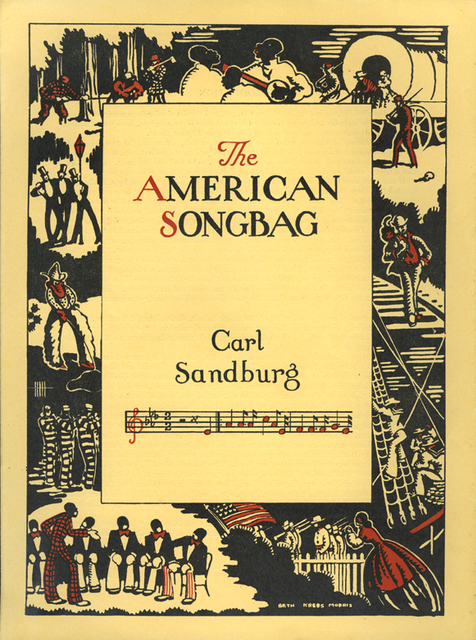 The multi-editioned ‘The American Songbag’ is the granddad of them all, published by poet Carl Sandburg in 1927. He “bestowed a powerful dignity on what the ’20s called the ‘American scene’ in a book he called a ‘ragbag of stripes and streaks of color from nearly all ends of the earth … rich with the diversity of the United States.’” It was young Pete Seeger’s introduction to the American musical legacy. It’s available on-line. I guess today you could get all the neighborhood kids together (if you could drag them away from their playstations), take them to a nearby forest (if you could avoid arrest for molestation), build a campfire (if the fire department ordinance permitted), seat them in a circle (‘Isn’t there an app for this?’) and lead a singalong (“Click on ‘Go to page 130’”, if there’s wifi available). I do believe in tribalism. I’m partial to societies based on commonality and community, involvement and engagement. That’s really the reason that I chose to live in this little corner of the world, and the reason I go to prayer meetin’ regularly. But I realize the world has changed and that I’m speaking Relic. Well, tough. One of the best conversations I’ve ever had was in 2008 in Västerås, Sweden, with an 18-year old Brazilian and a young professional Swedish singer. We talked about community singing in our various countries. Sweden still has a very strong folk and church repertoire shared by the vast majority of the population, similar to what I remembered as a kid from Hicksville. Brazil lacks that shared traditional songbook, but does have the archetypical bossa nova repertoire to draw from. 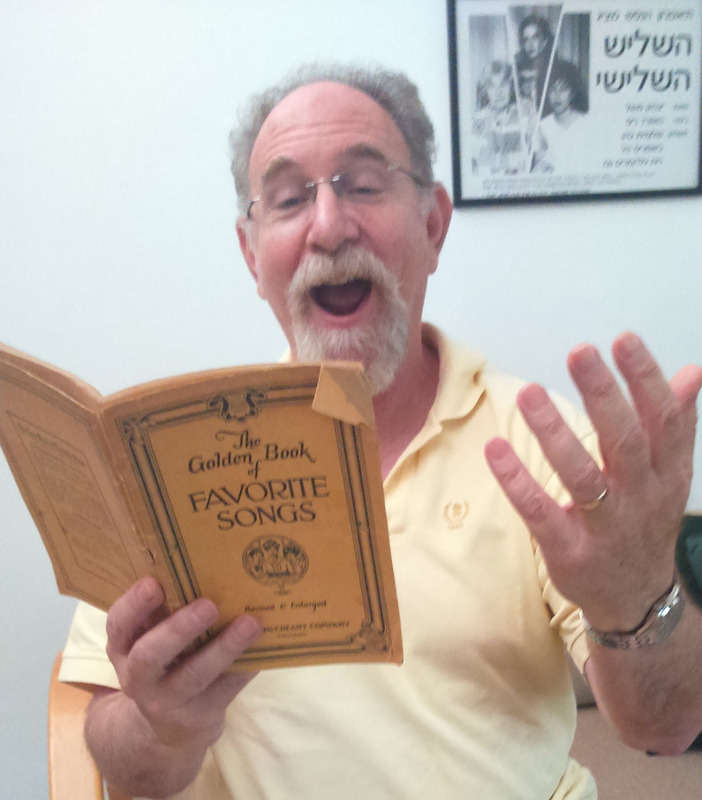 Israel is so new that even the young folk remember the old songs, both naturally and by the conscious choice of musicians choosing to delve into that tradition (discussed in SoTW 184, Arik Einstein’s ‘Ruach Stav’). All three of us agreed that it’s a better world when people, especially young ones, sing together. If they have a common well of traditional songs to draw from, they can do so with great joy. 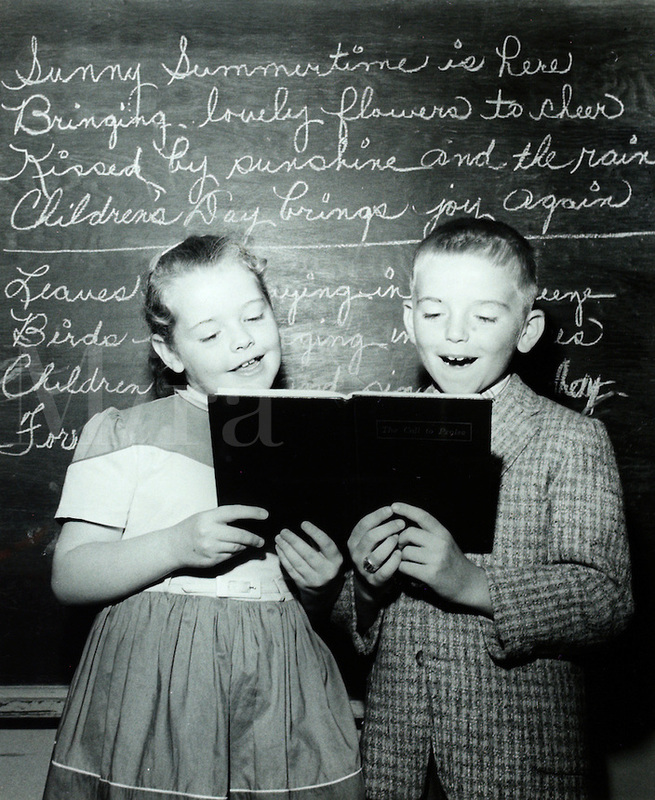 Do kids today sit together to sing Kate Perry, Taylor Swift and Eminem? I doubt it. And if they do, I’ll betcha they don’t know all the words to all the verses, like we did to ‘Blue-Tailed Fly’ and ‘Battle Hymn of the Republic’. Did singing ‘Swing Low, Sweet Chariot’ keep me from going out at night and stealing hubcaps? No, it didn’t. But at least it probably made me feel bad about it. What’s the moral of this yarn? Well, there is none. I’ll just sit here on the front porch in my rocker, chew on a piece of hay, sip corn likker from a Mason jar and mutter about how the world’s gone to the dogs. But I will have my laptop, with a 50 Mb broadband wifi connection. So I’m gonna click ri’chere and sing along with good old Woody Guthrie singing ‘Red River Valley’. 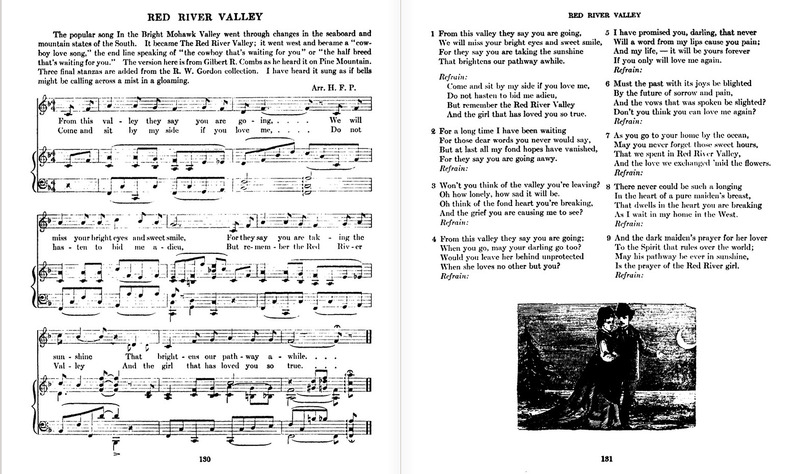 The earliest known written manuscripts of the lyrics bear the notations “Nemaha 1879” and “Harlan 1885,” which are the names of both counties in Nebraska and of towns in Iowa, but there’s speculation that the song was composed at the time of the Wolseley Expedition to the northern Red River Valley of 1870 in Manitoba. 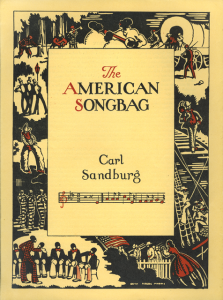 Here’s Carl Sandburg’s version of the song. Sing along, friends and neighbors, Facebook acquaintances and strangers. Click here and turn to 130, so we’ll all be on the same page. Well goll-darn, boy! Ye must be gettin’ old if ye be gettin’ nostalgic! We sang “April Showers” and “Tiptoe through the Tulips”, must’ve been a Canadian thing. . Thanks for jarring my long (very long) term memory. I find that people don’t like to sing together in public. I host a business radio show every week but I make the guest sing a verse of a popular song at the very start. It’s true that the younger guests don’t know the same songs I think everyone knows but aside from that 99% of the people do not want to sing. It’s an open line and most of the callers do not want to sing along when we finally do. Shortly after publishing this post, this article was brought to my attention. I had previously only the vaguest sense of the role of community singing in Scandinavia. I found this article very illuminating.